I went to Home Depot yesterday to pick up some stuff for the house. I have been doing a ton of work these days in stores like Home Depot and Tractor Supply, they are gracious enough to let well behaved dogs in. I’m training pet dogs, so these kind of stores provide excellent training challenges for the dogs to work through while finishing their training programs. I had taken one of my dogs in and had her heel by my side while shopping. Several employees asked if she could have a treat, and though I declined politely they seemed disappointed. I have gotten used to looks from both shoppers and staff when I have the dogs heel, sit stay at the register, down stay while browsing and politely turn down offers of treats for the dogs. It never used to bother me very much, I obviously believe in what I am doing, and they have no idea that these dogs are working through an obedience program. At another register was a German Shepherd puppy, looked to be around 5-6 months old, who was firing off with loud barking at the end of his leash at everyone who passed by. The owners (I assume they were the owners) petted him on the head and told him “it’s ok, it’s ok” in hopes of stopping his behavior. One of them kneeled beside him and cooed those words, “it’s ok.” The dog paused for a moment, pulled away from her and erupted again at the end of his leash at shoppers walking by. Staff members echoed those same words, hoping to ease the dog so he’d stop barking. They completed their checkout and hurried out of the store with the dog barking the entire time. The reality is that since the death of mainstream traditional training, there has been a shift in how people live with their dogs. Some would argue that things are better, and some would argue that they are worse. Though I am aware of how we got here, the average dog owner has no idea that there was a deliberate campaign against traditional training methods. Many dog owners have only owned dogs that were easygoing, low drive, well tempered dogs. Owners that find themselves in possession of a dog that is having behavioral problems usually get an education on proper leadership, or the dog is rehomed or euthanized. 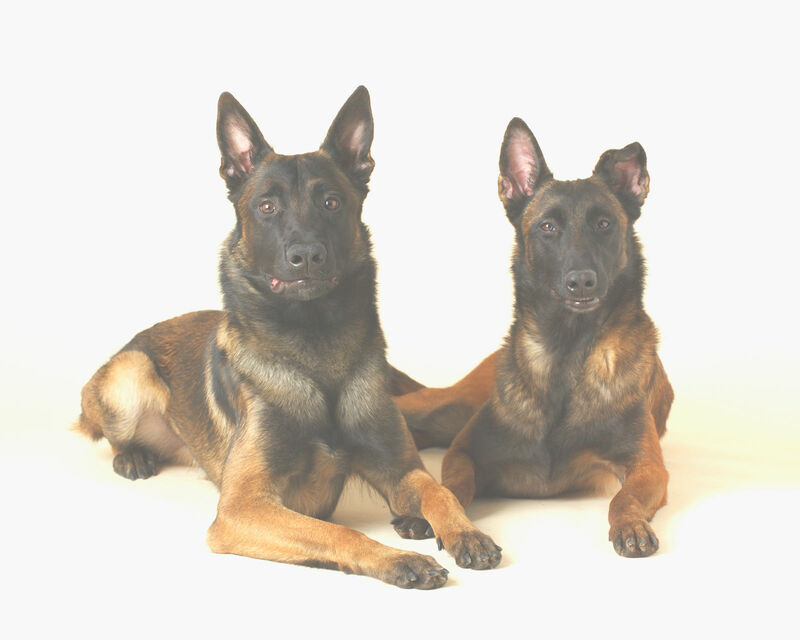 Though both easygoing and difficult dogs would benefit from some structure and training, the average owner usually only seeks professional help with adult dogs when something has gone wrong. The push to “socialize” puppies means puppy classes at the big box pet stores are well attended, but little is accomplished for the dog or the owner. Today’s “balanced” trainer (trainers that use both corrections and rewards) have to work really hard to explain the tools they use in order to appeal to pet dog owners. They’ll say a prong collar imitates a mother’s bite, they’ll say the e-collar is only ever used on levels below what is able to be detected by a human, they’ll say the dogs are thrilled to work and are happy. They’ll talk about incompatible behaviors, motivation, redirection and management. They will dance around trying to make all of this ok with owners so that some real work can get done. I do this too, gauging people’s comfort level with things and letting them work within where they are comfortable. As long as it’s progress, I’m happy to do that. I’m totally honest about what would be best for their particular dog, but I also respect their boundaries and understand that bringing them over to my side of things takes time and patience. While I know many trainers would say, ‘no, I don’t waste my time trying to convince people’ the truth is that all of us find ourselves at the very least having to defend the work we do at some point in time. 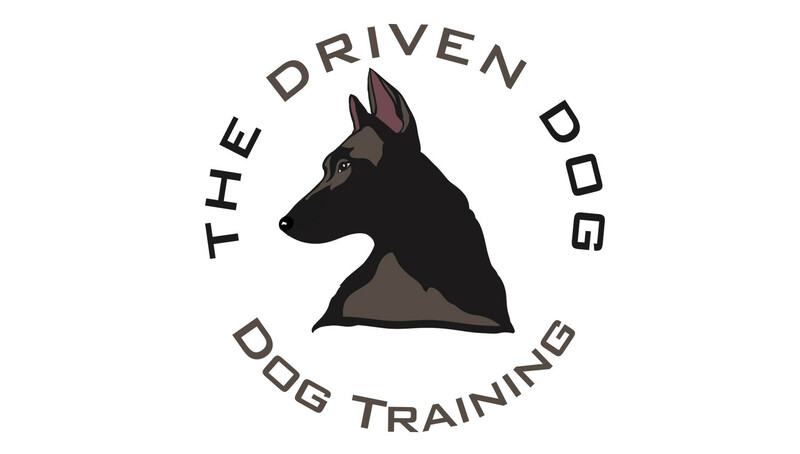 The belief in death over discomfort, force free, purely positive training is what the majority currently thinks they believe in, until they actually analyze it, and the average owner has no interest in doing so until they are faced with a difficult dog. Though the attention the general public gave to trained dogs or dogs in training never used to bother me, it does now. Why is it so novel an idea that a dog should be trained? Why would you take issue with me declining your offer of treats or affection? Why does it seem that you feel bad for these dogs, having to endure the chore of being obedient and well mannered? The fact that they are marveling at basic control on a dog in public tells me that the bar for dog behavior is set very low. Day in and day out, I see dogs lunging at the end of their leashes, completely out of control. These dogs come here, and do get better. But it’s so much easier to start from day one, or even before day one. Much of the work lies within the education of the owners, and swimming upstream against well established, commercialized falsehoods about dogs and dog training. The truth is that while everyone is running around trying to defend the rights of animals, the majority has lost their relationship with them. We’ve made it about us, and made things worse for them. I felt myself wanting to reach out to the owners of that German Shepherd puppy yesterday, but chances were that they would be unwilling to hear what I had to say. They wouldn’t be ready yet. I have made the decision to find a way to help educate the public about our dogs and how to best live together in this world we share. Those that are ready to hear it are probably the only ones that will come around, but that is ok with me, it’s a good start. 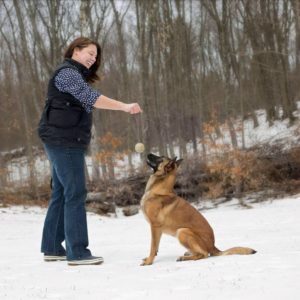 Adrienne is a dog trainer in Dover Plains, New York. She owns MondioPup, Inc. – Balanced Dog Training.